Plans are under way to replace clinic visits with 'virtual' psychiatrists who can treat children with mental health problems through video link. The high-tech solution could enable a doctor in Donegal treat a young patient suffering mental distress in Kerry, using a face-to-face electronic technology. It is now seen as the only way to respond to an acute shortage of child psychiatrists. 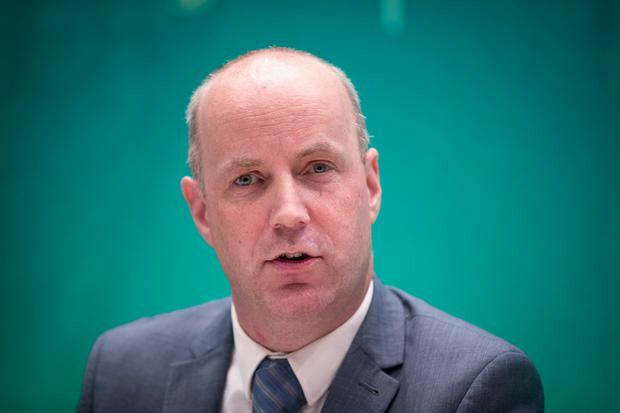 Minister of State Jim Daly, who has responsibility for mental health, said the child mental health services were short around 60 specialists and there was a worldwide difficulty recruiting these doctors. He said that he couldn't "clone" them so the only alternative was to follow the example of other countries like the United States and Australia and become tech-savvy. He was appearing before the Oireachtas health committee where HSE asked for a supplementary budget bailout of €655m. "It is a fact that there is a worldwide shortage of psychiatrists. We are short 60 of them in Ireland. I cannot make two of any two consultants. "I can try breeding them and I can try cloning them. All the government policy or pay will not make two of one," he said. He was responding to questions from Fianna Fail TD Jack Chambers, who argued that the value of face-to-face consultations could not be compared to telemedicine. He blamed Government policy and failure to bring the pay of new recruits on par with long-term consultants for contributing to the problem. Mr Daly said: "Technology is merely a platform. If there is a consultant at that screen and is fully trained and qualified, then you are not diluting the service to a child." He said if as a parent, he was forced to go to Cork University Hospital at 2am should his child have psychosis, he could be told a consultant psychiatrist would not be available until 9am. However, he said he would be happy if he was told "we can put you on to a consultant immediately who can is qualified and can speak to yourself and prescribe. "If my child had a psychosis I would happy. "I am not saying a screen is superior than face to face. "I have two choices - continue to do what I always did and always get what we always got or I can recognise the problem of recruitment and retention and look at an alternative way." He said if a consultant was on duty in an A&E department they might see just two presentations. "This is not to replace human beings." A member of the child psychiatry team left in Wexford recently and "now a doctor from Galway has to make a seven-hour journey there every weekend. Telemedicine could remove it in the morning," he added. The psychiatrist who was streamed through a video link would be part of a wider team in the patient's treating hospital. They would include a "psychiatric nurse and a whole team of medics around," he added. If a child psychiatrist leaves a team now, they can be "paralysed" and this is one way of providing the service, he added. Waiting lists for children to see a child psychiatrist have been condemned amid fears children with mental health issues are deteriorating.